In the school year 2018/2019, more than 800 students from different ethnicities had the opportunity to get to know each other, socialize and learn together through joint extracurricular activities in schools, with the support of the USAID Youth Ethnic Integration Project. The activities enable young people to collaborate and learn more about each other, thus reducing prejudices against peers from different ethnicities. What kind of interethnic integration activities in multilingual schools are supported by the Project? In schools where the teaching process takes place in several different languages of instruction, students from different ethnic communities often follow the teaching process in different shifts, sometimes in different school buildings. That is why twenty multilingual schools are supported to regularly organize meetings of joint school clubs in which students who study in different languages of instruction participate. 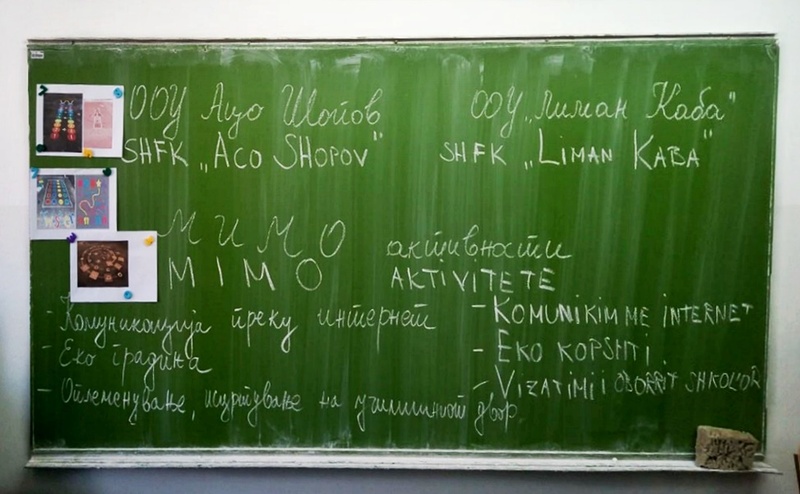 In PS “Josip Broz Tito” in Valandovo, the technical education club actively works and it is attended by twelve students who study in Macedonian and Turkish language of instruction. The “Young Technicians”, as the students in this club call themselves, had several joint meetings during which they built models that operate on natural energy sources, such as a model of a windmill and a solar energy model. During the activity, the students worked together and helped each other, trying to make the model better and more functional. Activities related to technical education were also realized in PS “Straso Pindzur” in the village of Josifovo, Municipality of Valandovo. The students from PS “Junus Emre” in the village of Lisicani, Municipality of Plasnica participated in activities within the history club. Such activities enabled students to expand their knowledge of the history of all communities in the country. The sports club of PS”Vera Ciriviri Trena” in the village of Debreste, Dolneni, is attended by 20 students who study in Macedonian and Turkish language of instruction. Through their work in this club, the young people learned about sport. Such activities contributed to the development of sporting spirit among students, as well as mutual respect and cooperation. The joint meetings of the English language club of PS “Zivko Brajkovski” in the municipality of Butel, are eagerly awaited by twenty students who are members of this club. The product of this club will be the performance of the play Snow White and the Seven Dwarfs in English. At the meetings, the students, besides rehearsing the text of the play, were also proposing ideas about the scenography and the costume design of the play. In the “Gostivar” secondary school of economics in Gostivar, the drama club is actively working. The members of the club first attended theoretical lectures on the basic concepts of drama and the development and division of drama in literature. Together they gained more knowledge about the world’s most renowned playwrights, with a special emphasis on the Macedonian, Albanian and Turkish contemporary playwrights. By comparing their works, they found similarities in the thematic contents. The work in this club will be completed at the end of the school year with a performance of a play in front of students, professors, parents and the general public in Gostivar. The group of schools that realize drama club activities also includes SS “Cvetan Dimov” in the City of Skopje, where regular meetings are held by 15 students who study in Albanian and Turkish language of instruction. Active in the implementation of activities in this period was also SS “Arseni Jovkov” in the City of Skopje. The assigned topic that the members of the club worked on was Social (In)Justice. Under the guidance of the responsible teachers, the students discussed this notion and openly presented their views. Divided into small mixed groups, the students also worked on a symbolic display of social injustice through photographs. At the meetings, the students had the opportunity to learn more about the rules and techniques for conducting a journalistic interview. 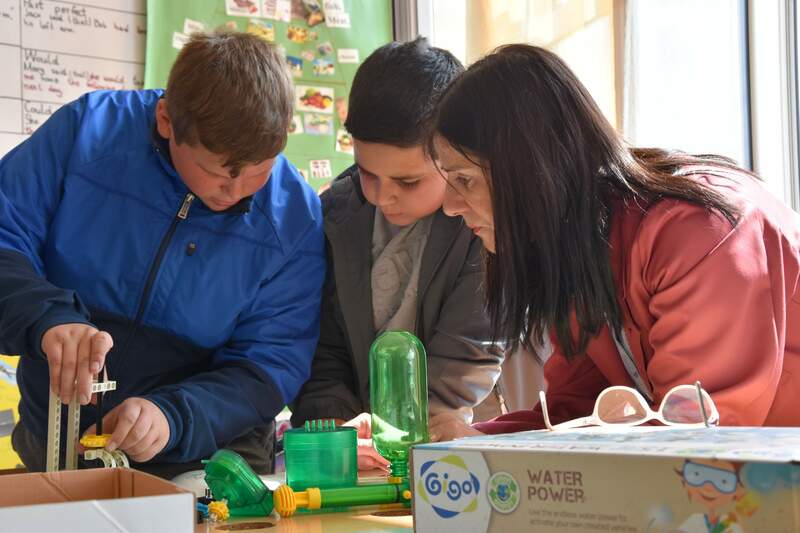 The following schools also implemented school club activities: PS “Goce Delcev” in the Municipality of Aerodrom, PS “Kiril i Metodij” in the village of Stajkovci, Gazi Baba, PS “Vasil Glavinov” in the municipality of Veles and PS “Pere Tosev” in the village of Dupjacani, Municipality of Dolneni. What kind of interethnic integration activities in schools where there is only one language of instruction are supported by the Project? The schools where there is only one language of instruction, on the other hand, received support from the Project to realize extracurricular activities in partnership with other such schools where the teaching process is conducted in a different language of instruction. This school year, a total of twenty-two schools organized partner activities, in which sometimes students from different cities participated together. PS “Aco Sopov” in Butel realized an activity in partnership with PS “Liman Kaba” located in the same municipality. The students from both schools worked together on the preparation of a brochure containing information about the life and work of the two patrons, Aco Sopov and Liman Kaba, as well as general information on both schools. The students from PS “Tode Hadzi Tefov” in Kavadarci hosted the students from PS “Bajram Shabani” in Kondovo, Municipality of Saraj. During the joint activity, the young people produced 3D geometric shapes. A return visit to the school in Kondovo is planned for next month. Activities in partnership were also realized by PS “Rajko Zinzifov” in the village of Dolno Orizari, Municipality of Veles and PS “Blaze Koneski” from the same municipality. 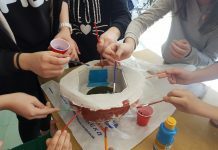 In addition to the literary workshop, the students who study in Macedonian and Bosnian language of instruction jointly conducted chemical experiments. 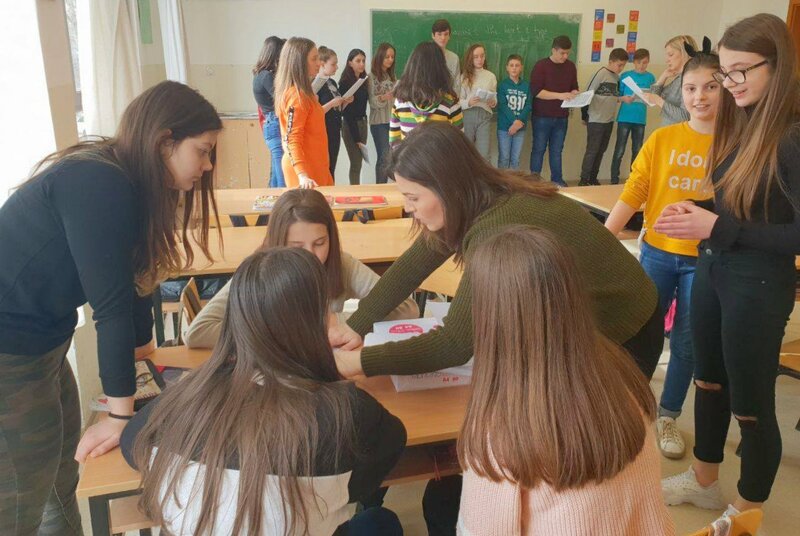 The students from PS “Naim Frasheri” in Tetovo also realized an activity in partnership with the students from PS “Krste Misirkov” in Gazi Baba. Thirty-two students from these schools jointly marked the First day of spring by making greeting cards with messages about preserving the environment. 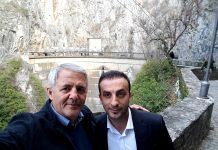 They also visited a number of landmarks in the City of Tetovo. Through creating opportunities for students to socialize and collaborate on various initiatives, the USAID Youth Ethnic Integration Project fosters positive interactions between ethnically diverse youth at school and community level.